Want protection for your Siri Remote for your Apple TV 4? Apple has their Remote Loop, which attaches to the device’s Lightning port, available for $17 CAD. 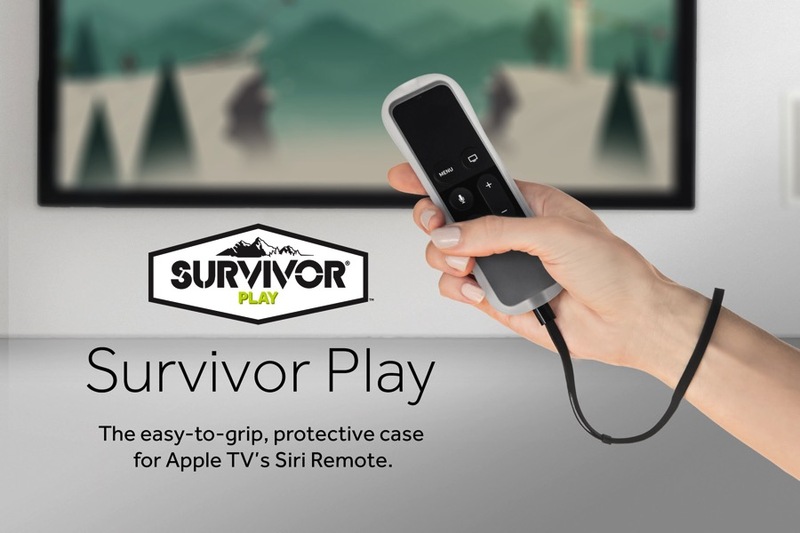 If you want more than that, Griffin has launched their Survivor Play for Siri Remote, priced at $19.99 USD. The Survivor Play is being touted as a way for users to get a better grip on the remote (which is slippery) when it comes to gaming, and to protect it from drops, thanks to its silicone build. We’d actually want the Survivor Play so we know which way to pick up our remote (some people have resorted to rubber bands instead). Is a case necessary for your Siri Remote? Not really, but if you’re into cases, this is just one option (that will remind you of your Wii Remote).